Razer Splitter Adapter (Audio Mic) NEW!! The Razer Electra was designed for use on-the-go with music players, smartphones and newer computers that use only a single port for both audio output and microphone input. 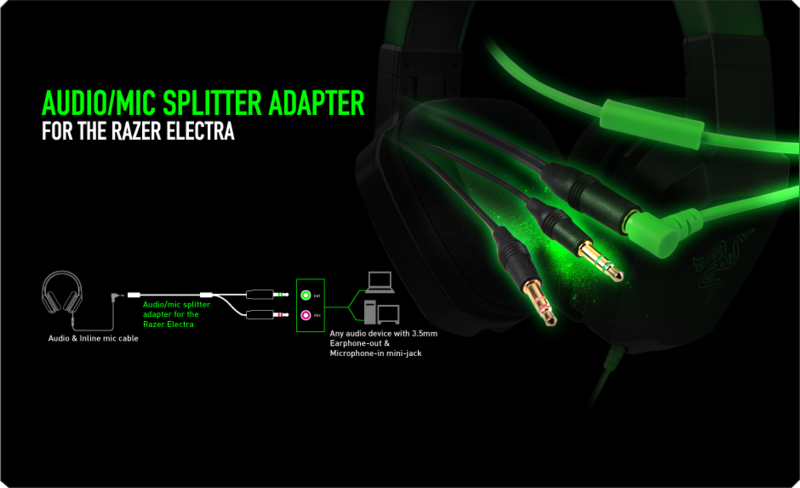 The Audio/Mic Splitter Adapter enables the Razer Electra’s microphone for use on PCs outfitted with separate ports for the audio and microphone. Now you can voice chat with team-mates or smack talk enemies as you hear the electrifyingly heart-pumping audio of your game through your Razer Electra gaming headset. For those that have a desktop PC or laptop that uses separate audio output and microphone input ports, the Audio/Mic Splitter Adapter was designed to enable microphone input on the Razer Electra and other headsets using a combined audio and microphone jack. Most gamers use the audio/microphone ports on the back of their PCs to keep cables tidy. 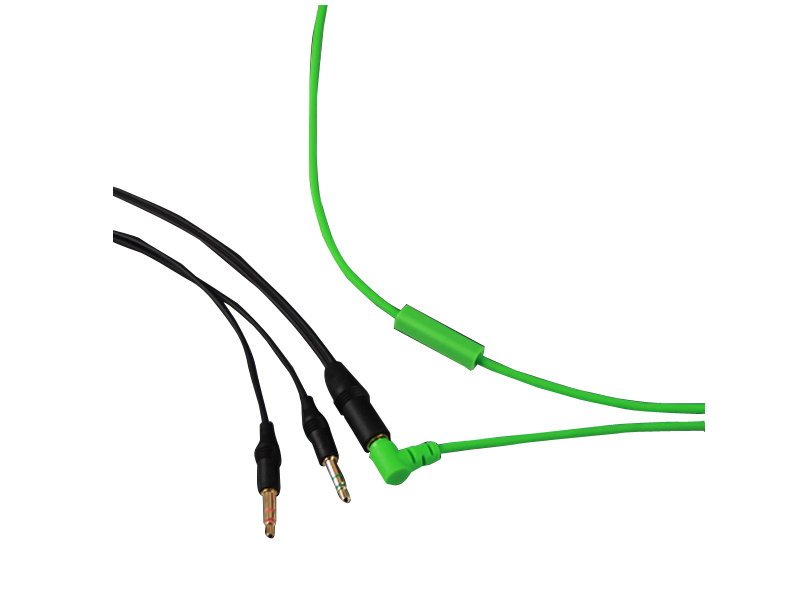 The Audio/Mic Splitter Adapter can be attached to the back of your PC while providing a 1m/3.28ft-long extension cable that connects directly into the Razer Electra’s combined audio and microphone jack. That way, you can comfortably connect the headset to the PC without the hassle of switching cables behind your desk.